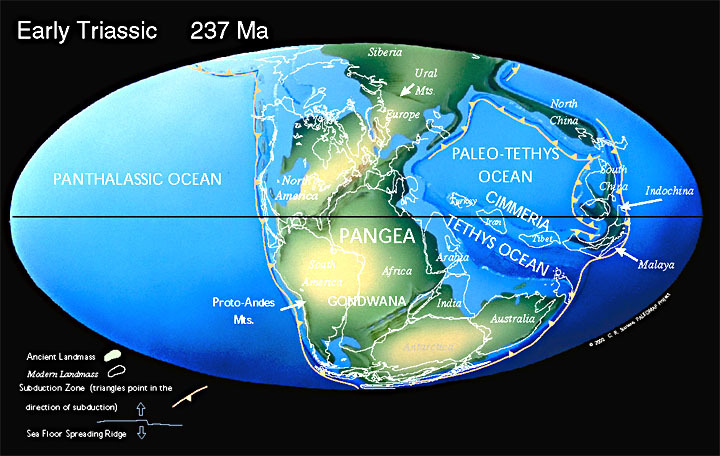 At the end of the Triassic, Pangea began to rift apart. The supercontinent of Pangea, mostly assembled by the Triassic, allowed land animals to migrate from the South Pole to the North Pole. Life began to rediversify after the great Permo-Triassic extinction and warm-water faunas spread across Tethys.